China’s eco-friendly businesses are eager to expand by buying up overseas expertise. The Chinese market for green goods and services is flourishing – partly because of regulations designed to limit pollution – and chasing high-tech, high-profile buys pleases ambitious officials in Beijing. But acquisitions are not always the best way to grow. One case in point is Attero. 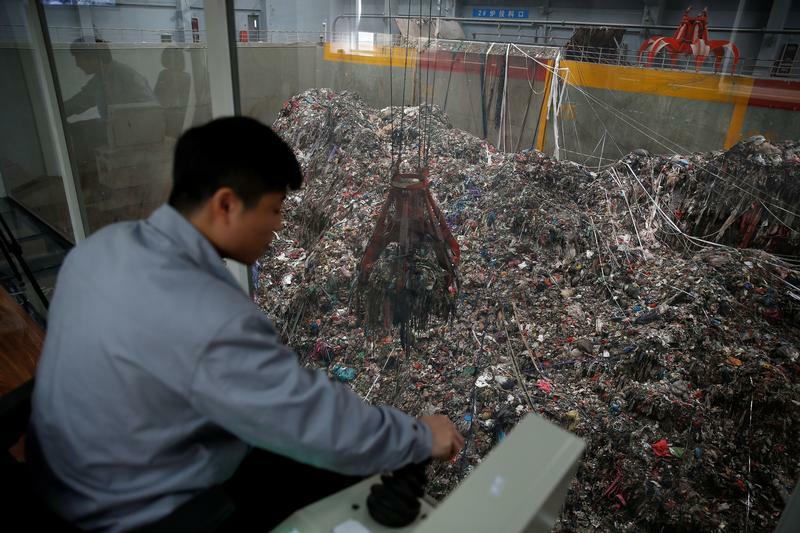 The Dutch waste management group has attracted a crowd of Chinese suitors, according to Reuters sources, with some bids in excess of 1 billion euros ($1.1 billion). One bidder identified in the report, Hong Kong-listed Beijing Enterprises Holdings, already splurged 1.4 billion euros on Germany’s EEW Energy from Waste earlier this year. 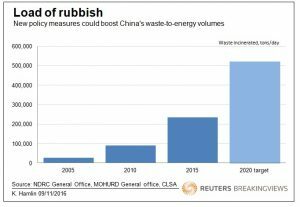 Chinese companies that convert garbage to energy and heat may get a boost after the government decreed in September that incineration should make up 50 percent of urban waste disposal by 2020, compared with just 20 percent in 2010. The hope is that buying well-established, sophisticated businesses such as EEW and Attero could help local players scale up and fine-tune operations. As a bonus they’ll gain a double dose of political capital from bigwigs eager to see Chinese companies both “go green” and “go out” – the catchphrase for overseas expansion. But it’s easy to get carried away by promising policies and miss inconvenient truths. A lot of the technology needed to burn trash is mature and readily available. Chinese companies have relatively little to gain by shelling out for targets like Attero, which don’t hold many exclusive patents. While the Dutch company and peers in established markets boast know-how and experienced executives, the $6 billion Beijing Enterprises can already tap those through EEW. Even for other Chinese firms, there are thriftier ways to learn best practice, such as through cooperation deals or partnerships. Many PRC companies’ finances already look overstretched, suggesting non-essential acquisitions should be avoided: Beijing Enterprises, for one, has attracted scrutiny from Standard & Poor’s over its borrowing. China’s cleantech tycoons are justifiably ambitious, with a huge potential market and a policy tailwind. Yet even garbage collectors must be picky to avoid throwing out too much cash with the trash. Dutch waste-management group Attero has attracted several Chinese suitors according to people close to the deal, Reuters reported on Nov. 1. Hong Kong-listed Beijing Enterprises Holdings plans to use the recently acquired German business EEW Energy from Waste as a vehicle to buy Attero, the people said. Beijing Enterprises bought EEW for 1.4 billion euros ($1.6 billion) from Swedish private equity firm EQT Partners in March. Beijing Capital and China Energy Conservation & Environmental Protection are also among the groups preparing bids for Attero, the people told Reuters. Beijing Enterprises’ purchase of a 20 percent stake in a Russian oil exploration and production company is credit negative, ratings firm Standard & Poor's said on Nov. 10. Moody’s Investors Service said on Nov. 9 that it had placed the company on review for downgrade following news of the deal. China’s NDRC published a consultation paper in September suggesting that policymakers want waste incineration to account for 50 percent of urban waste disposal by 2020, up from 20 percent in 2010, CLSA analysts wrote in a note on Oct. 2.